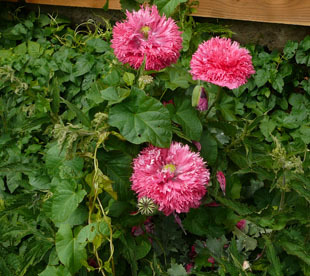 and at the base of walls, especially near habitation. 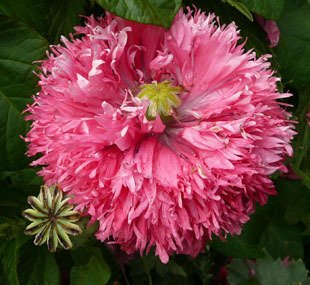 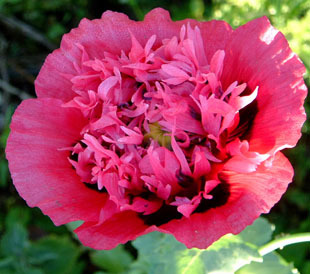 Poppy, and grow up to 80cm. 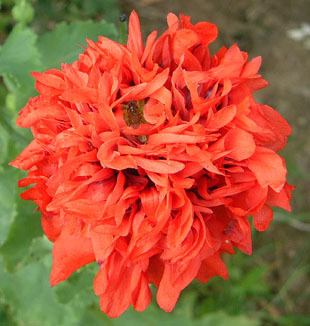 They are showy and brightly coloured with many small petals. 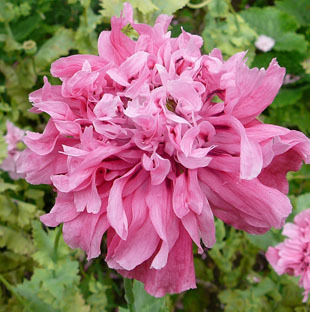 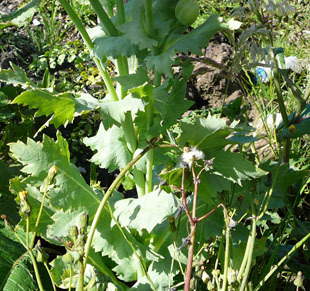 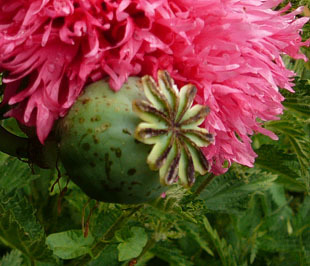 The leaves are greyish and clasp the stem, as in the Opium Poppy.